Employee Happiness: Good for Business? ‹ LinkNow Media | We're Hiring! Good news for managers still wondering whether it’s better to be feared or loved! 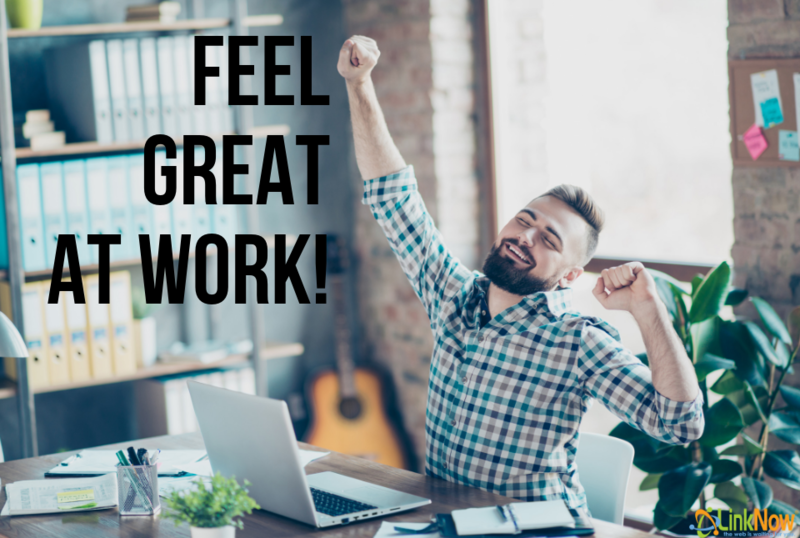 According to Forbes, treating employees well and creating an atmosphere of employee happiness isn’t just the right thing to do, it’s also great for business. According to the study, happy employees were up to 20% more productive than unhappy employees. And the results are easy to see in real-life, too. Fortune’s annual list of the ‘100 Best Companies To Work For’ consistently saw stock prices soar compared to companies not on the list. Not only that, but employees who developed close friendships at work are up to seven times more engaged with the work they do every single day. The benefits of promoting employee happiness at your workplace are clear. But it’s a job that’s easier said than done. Management of your small business can often feel like a thankless task. However, there are lots of little steps that you can take on a day-to-day basis to promote employee happiness—and some of them won’t cost your business a single dollar. The employees that make up your business are special. They won’t all have the same likes and dislikes as the average office, so not every single one of these strategies is guaranteed to be a hit. That said, this list is a great starting point for strategies to increase employee happiness! A happy worker is a worker that feels appreciated—and an employee that knows their job will be there tomorrow is much more likely to feel supported and engaged than elsewhere. In some environments, more competitive or cutthroat employment contracts make sense, but the average worker in the average business will be satisfied with job security—it regularly tops the list of criteria that workers are looking for when choosing a job. While after-hours get-togethers or company meals are an easy way to promote friendships between employees, they’re not within the budget of every business. But simply providing common spaces for people to hang out on their breaks can be a great way to foster friendships and cohesion between coworkers. And, as we’ve stated above, that’s a surefire way to increase employee engagement in their daily work. Not every employment engagement strategy needs to cost money. Simply by providing regular constructive verbal and written feedback and giving your employees an opportunity to learn new skills and master new challenges is a way to show them they’re appreciated. Fostering good relationships between management and employees can bring big benefits to your workplace—and that puts a smile on everyone’s face. Want a job that comes with big bonuses when it comes to employee happiness and productivity? Join the LinkNow Media team!